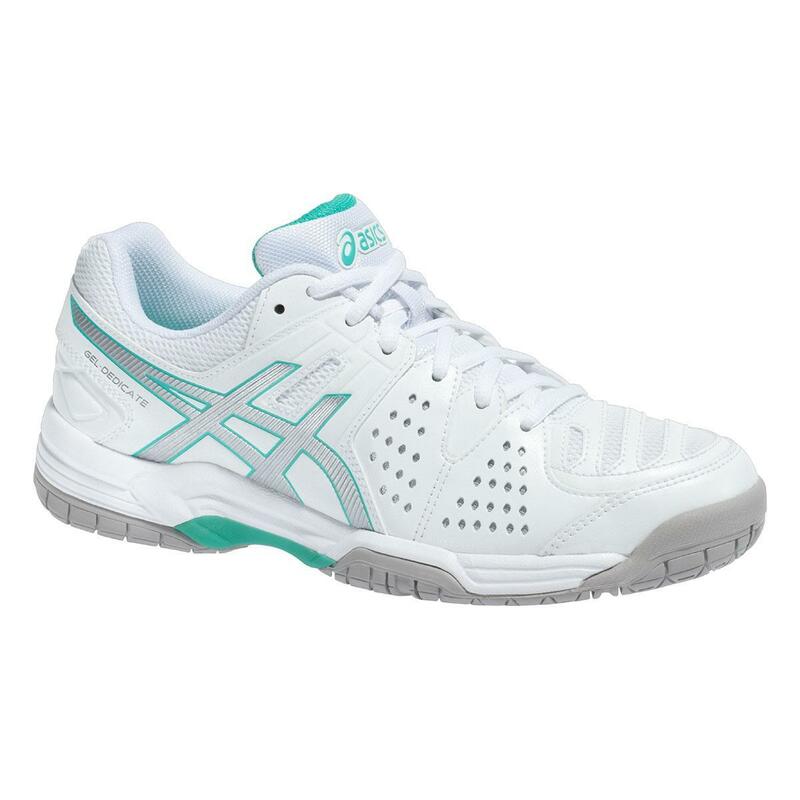 Asics Gel-Dedicate 4 women’s shoe is a great value tennis and racket sports shoe. Features include:-Asics GEL - specialised silicone strategically located in the forefoot area to provide optimal shock absorption.Trusstic - a moulded component located under the mid-foot area provides stability and helps control torsion.Perforated synthetic leather upper allows foot to breathe for added comfort.Multi Surface Outsole - herringbone design provides optimum grip on most surfaces.Non removable EVA sockliner provides extra cushioning. Do you own the Asics Gel-Dedicate 4 White-Silver-Mint?